You won’t find a pork-and-fennel ciabatta sarnie here. 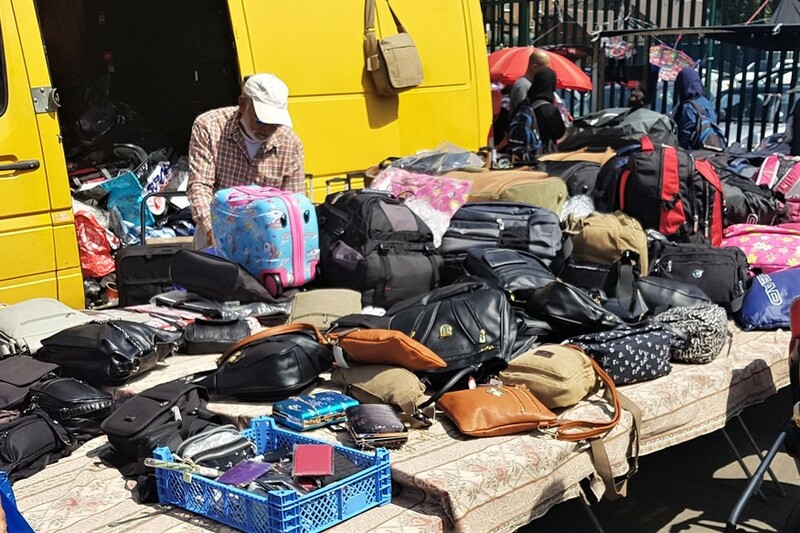 Southall Market has everything you need; nothing you don’t. String vest yes, snooker table yes — but seven-quid scotch egg of duck, you can jog on for. You will be told as much, and maybe pelted with the greengrocer’s leftover tomatoes, and memorialised in a disparaging rhyme by local schoolchildren. For you’re in a bygone time here. Until 2007 you could even buy horses at Southall Market. To this day, this functional place feels decades away from the gentrification which has overtaken many other London markets. Goods are unloaded from Ford Fiestas, and traders compete to locate under the shelter of a giant corrugated iron shed. Taking photos — if you even wanted to — is frowned upon. 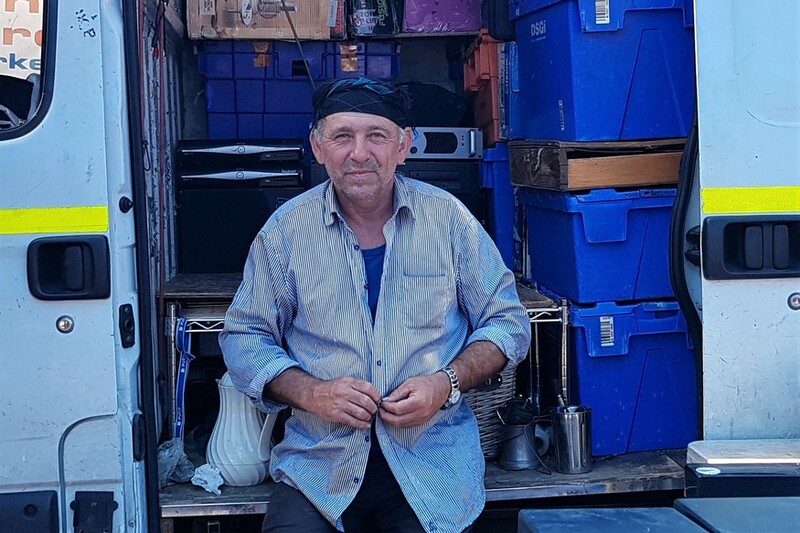 The ground is uneven, and so too are the moods of the stallholders. No airs and graces here - goods are simply piled up. Ask for it nicely, and the traders will probably have it for you next time. The local demand governs the supply. Southall Market has those fat tomatoes you’re after; those AAA batteries you ran out of; that fabric you requuested last time. What it doesn’t have is a cute, repurposed shipping container which everyone in London treks over to, in order to buy a Breton-striped child’s bath cap with an anchor embossed on it. Few outside the immediate area consider this market a ‘destination’. But that’s not to say that the place lacks significance to many people. Balraj Purewal, whose family arrived in the area in 1961, is the man behind the Panjabis of Southall project. 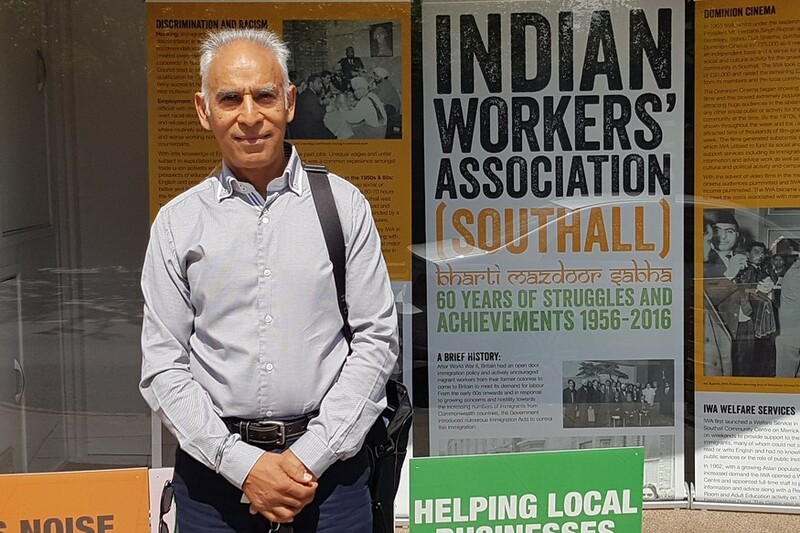 He’s been cataloguing the history of those first pioneering immigrants who came here to start what became largest Punjabi community outside India, but who faced extreme violence and marginalisation along the way. Balraj Purewal arrived in Southall in 1961. “The market was one safe space for Asians,” he says. “Back then, you had major race issues in Southall. And if you left Southall, you just got beaten up — period. London, but not quite as you know it. Others progressed from the market to nearby Southall Broadway, a shopping hub of international significance. 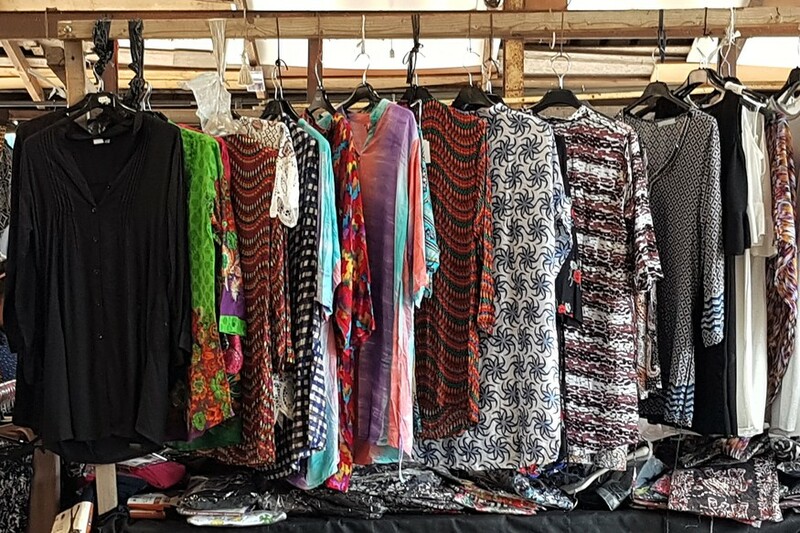 Purewal tells us the first of many Asian clothes shops on that street, Sidhu Textiles, was first a market stall set up to fill a niche that existed for modest, non-Western women’s dresses. 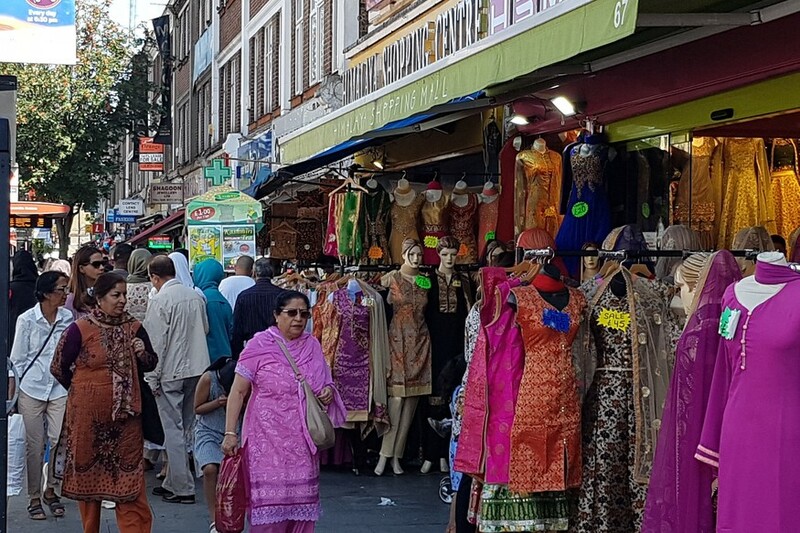 The bigger and better-known Southall Broadway is an international shopping destination. Today, the whole town lives and breathes what one trader labels the “market mentality”. What may once have been a Woolworths or a Marks & Spencer on the Broadway has been subdivided into a miniature bazaar; clothing mannequins march out from storefronts towards the kerb; and spiced sweetcorn sellers fill the streets. The briefest of wanders is the most dazzling of experiences. Britain’s top Asian town has to deal with its fair share of stereotyping. Perhaps the most viral riposte to this has come from local actor Viraj Juneja and his spoof holiday advert. The skit sees him strolling around Southall, seemingly unable to dodge every last cliché. A closing shot sees him by the market, asking the price of a sari. “Ironically, though, if you watch any Indian television you’ll see programmes which are sponsored by restaurants on Southall Broadway. People actually do travel all the way here from South Asia. 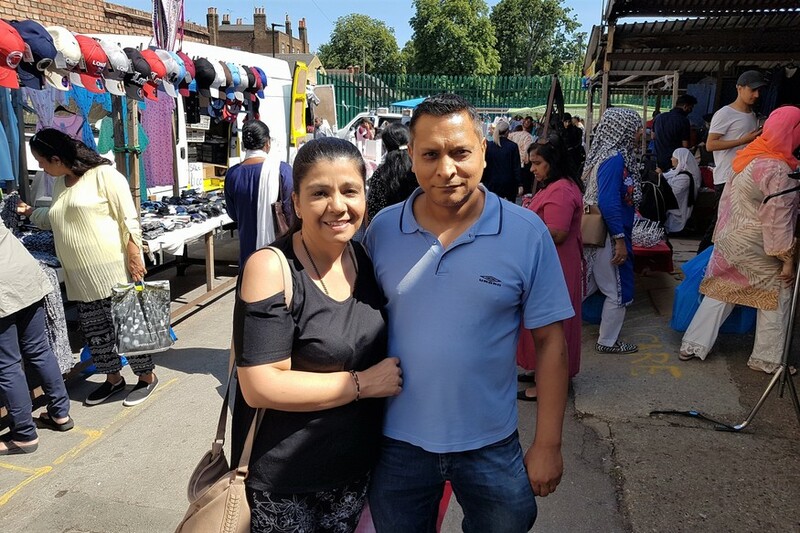 Market regulars: Mamta and Ramesh Juneja. 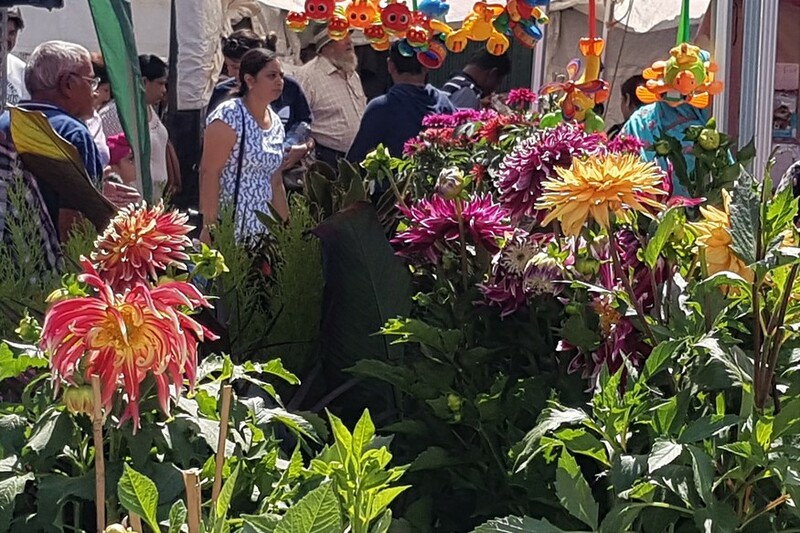 Juneja’s parents, Mamta and Ramesh, take us on their own tour of the market, and with it a reminiscence of the decades they’ve spent in the area. “Many women would come here to buy their underwear,” says Mamta. “In Indian culture, it has to be done discreetly. 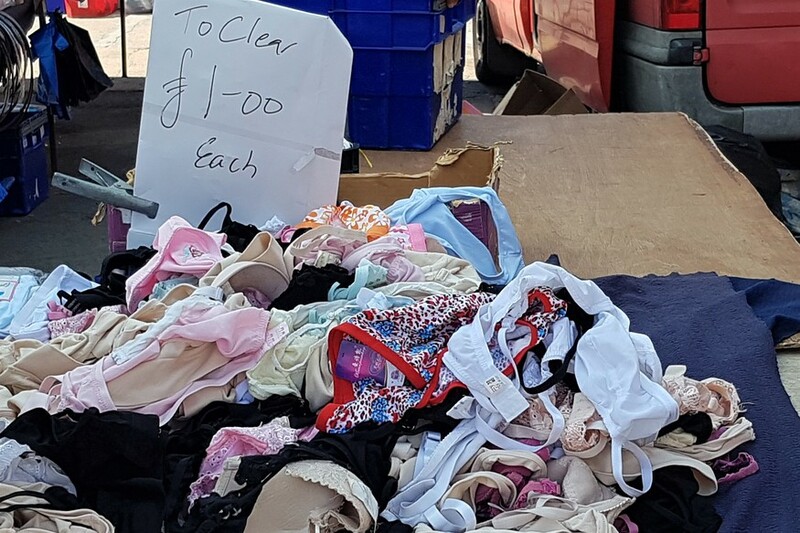 The trader would know how to quietly slip you a bra under a pile of other fabrics. For some, the market was the only place to buy certain 'sensitive' products. Somali, Afghan, Polish — the spoken languages and signs all around this part of the London Borough of Ealing testify that the story of immigration here is far from over. 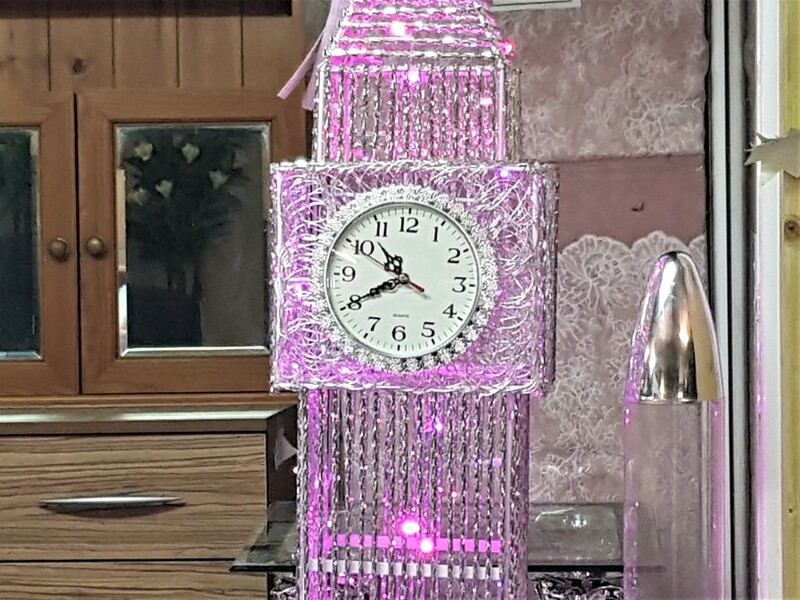 Asif, from Kabul, has a market stall which sells a bit of this and a bit of that. Mostly he’s sighted tinkering with some electrical item or other, refurbishing anything from steam irons to guitars. His daughter tells us he once worked as a vet in Afghanistan. He was a vet in Afghanistan - Asif has had a fresh start at the market. 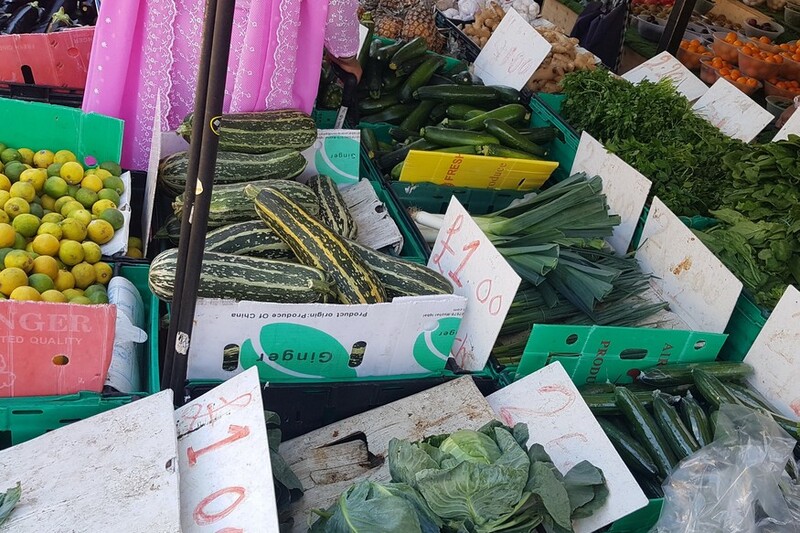 Even to this day, a stall at Southall Market can represent a fresh start for someone. 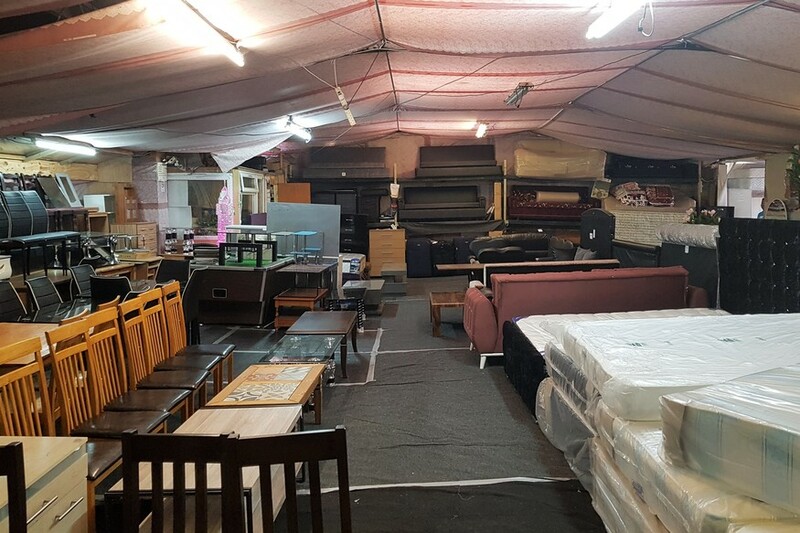 It only runs three days a week, but sellers have been making a success of it here for over 300 years. However, ask a trader and they’ll tell you the threats to this institution are unprecedented. Southall Market around closing time. Normally, it's a bustling little centre of activity. 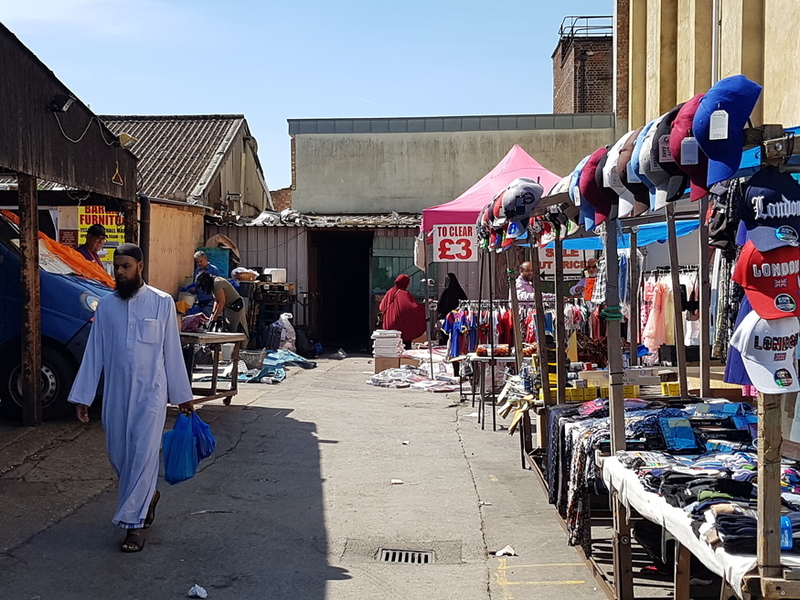 The manager, Jane, says she’s confident that Southall Market and its giant corrugated iron shed have many good years ahead. Surely there can be no guarantees. There’s no arresting the forces of change in London. But Southall is both within and without London. This ‘town’ is doing a roaring trade in fat tomatoes, AAA batteries, fabrics and all the other things we all need. Whether you come down to buy them or not. 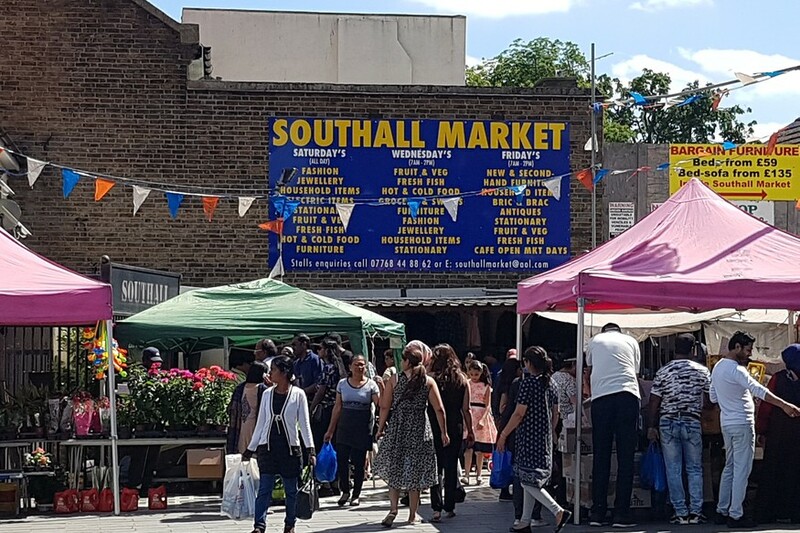 Is the future bright for London's last 'proper' markets?